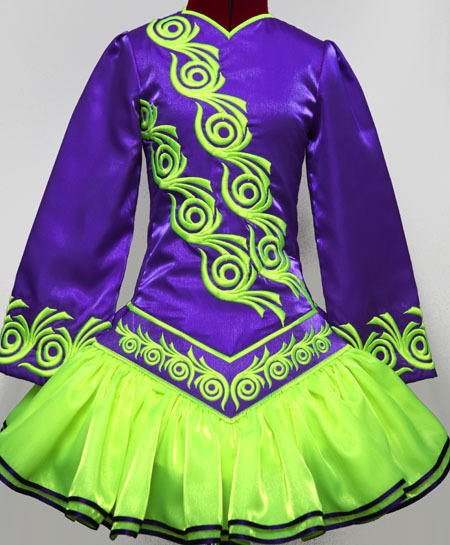 Total back length (top of zipper to hem): 28"
Bright purple twinkle satin bodice and sleeves, with fluoro yellow asymmetrical embroidery design. 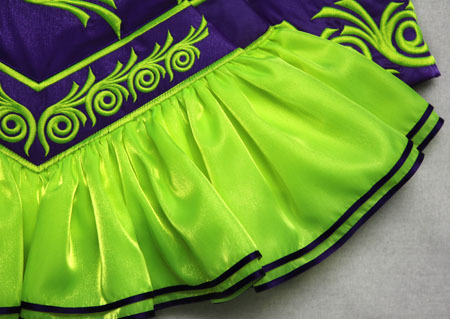 Striking skater skirt constructed from fluoro yellow twinkle satin with purple ribbon trim. 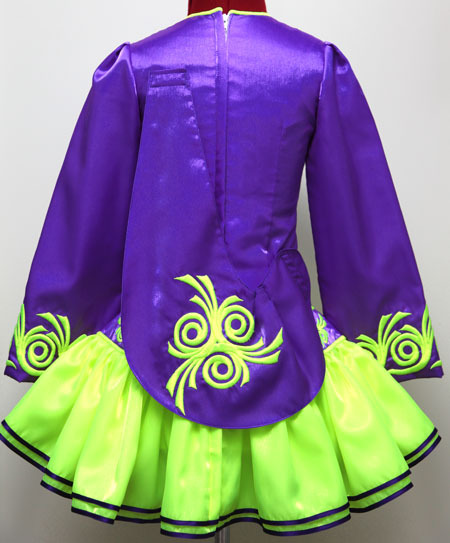 Soft style shawl constructed from purple twinkle satin with matching fluoro yellow embroidery design.